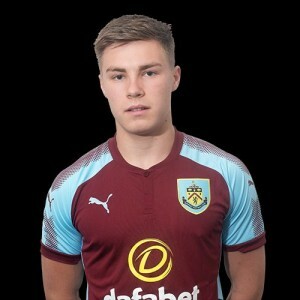 Harry Limb, released by the Clarets at the end of the season, will be playing his football in the Southern League Premier Division next season having signed a two year contract with King’s Lynn Town. Limb, still just 18, signed for the Clarets from Wisbech in February 2017. At the time he’d scored 22 goals for them in 40 appearances. He joined us part time, as he continued his studies, until the end of the season but still contributed four goals for the youth team as they came close to lifting the Youth Alliance League title. Last season he joined the under-23 squad and got off to a blistering start in pre-season which included a goal back at his old club Wisbech. He didn’t maintain that and his only competitive goal came in the remarkable 4-3 win at Newcastle in the Premier League Cup. He spent the second half of last season on loan at Matlock for whom he scored six times in 16 appearances prior to becoming one of a number of young players we released. He’s now joined a King’s Lynn team who ended last season with 100 points yet failed to win promotion to the National League South. They fell 13 points behind champions Hereford and eventually were beaten by Slough Town in the play-off final.